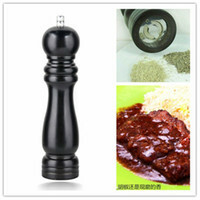 I’ve been been holding on about posting on these items for a few months. There was never really an appropriate time to blog about them. Instead I just decided to combine them into this post. One of my favorite things when discovering a new ethnic market is perusing the aisles to discover new food items. Near the hot food area at Wholesome Foods in Irvine, an Iranian market, there is a Russian deli meats section. What immediately caught my eye in that section were the packages of bologna with babies on the label. Not just one but at least four types of bologna. Were these were missing babies much like the photos of kids on milk cartons? No. Are these baby-flavored bologna? No and ewww. 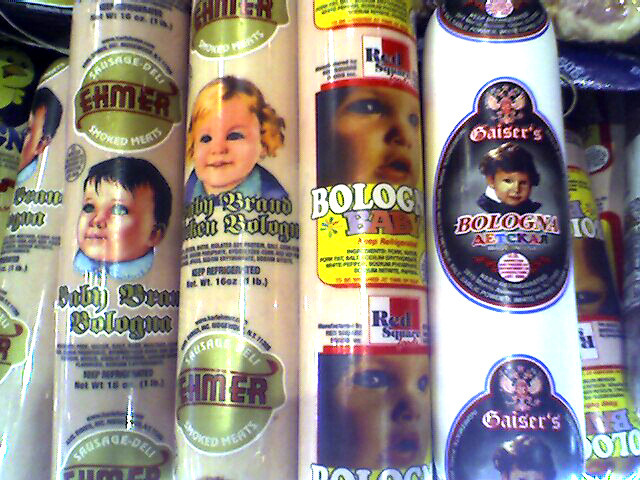 They are labels to emphasize the mini size of the so-called ‘baby bologna.’ I don’t like bologna but did buy a package. It tasted well, like bologna. Still don’t believe me? Buy a baby bologna here. For about an hour, I considered buying this barking hot dog cooker just for cuteness factor alone. I even went as far as telling someone, “Hey, I want that for my birthday.” Luckily he knew it was just a passing fancy because for almost $35, it really isn’t worth it. 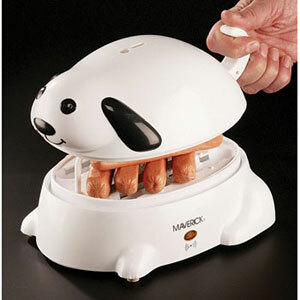 It cooks 4-6 hot dogs at once and it starts to bark when the dogs are cooked. I like hot dogs, but not that much. If you like hot dogs more than me, you can buy it here. I WANT THAT HOT DOGGER. Kleopatra–I have seen Soylent Green. It was a part of a Charlton Heston movie fest in Balboa Park. As usual he eats up the scenery, "SOYLENT GREEN IS PEOPLE! "JustJenn–Argh, now I want the hot dog cooker if only to invite my friends over so we can take turns cooking the hot dogs until the machine starts to bark. Interesting gadget, but in my house the boys might break it thinking it's a toy. We have a Fisher-Price flashlight that growls like a tiger. One night Noah thought the tiger was thirsty…the lightbulb no longer works, but it still growls! uh, the baby faced bologna is kinda disturbing… but i admit to a comfort food from my youth: fried bologna on wonder bread with french's mustard. how's that for nutrional? ;)now, that hot dog cooker… too bad it's $35 tag takes it out of the running for a white elephant giftie. talk about one that would get plenty of steals! Hi Anonymous (Steve)–I think I know what to get you for the holidays: baby bologna. Expect in the mail in December. And yes, the hot dog cooker claims it does bark when the hot dogs are ready. What kind of bark, I don't know.Hi Mrs. Wong–Yes, there seems to be some danger in having something that looks like a toy but really is an appliance around young kids. They might want to cook their crayons or something else in them!Hi Photogirl–Too bad it's out of the running as a White Elephant gift. That would have been hilarious! Hmm… fried bologna… I bet CJ wouldl be into that!